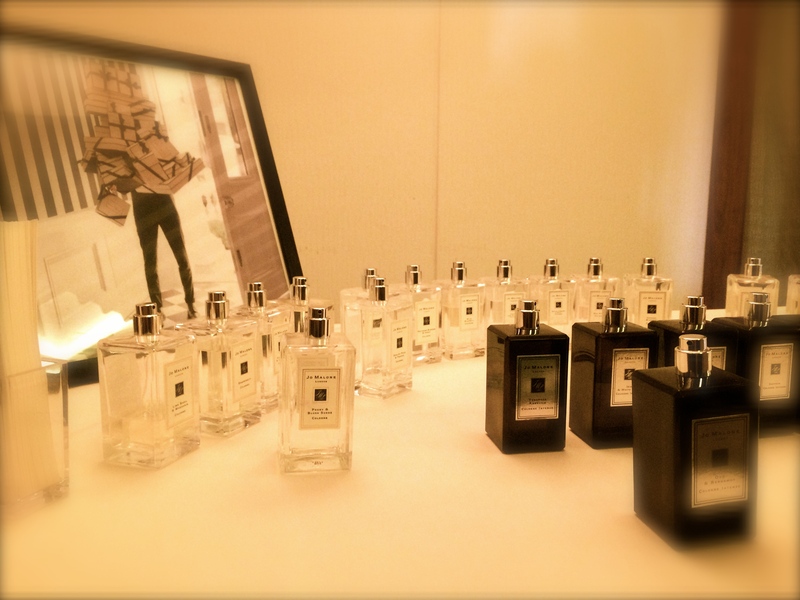 It was a british scented afternoon, and a warm embrace for the launch of Jo Malone‘s boutique at Bahrain’s City Center Mall. 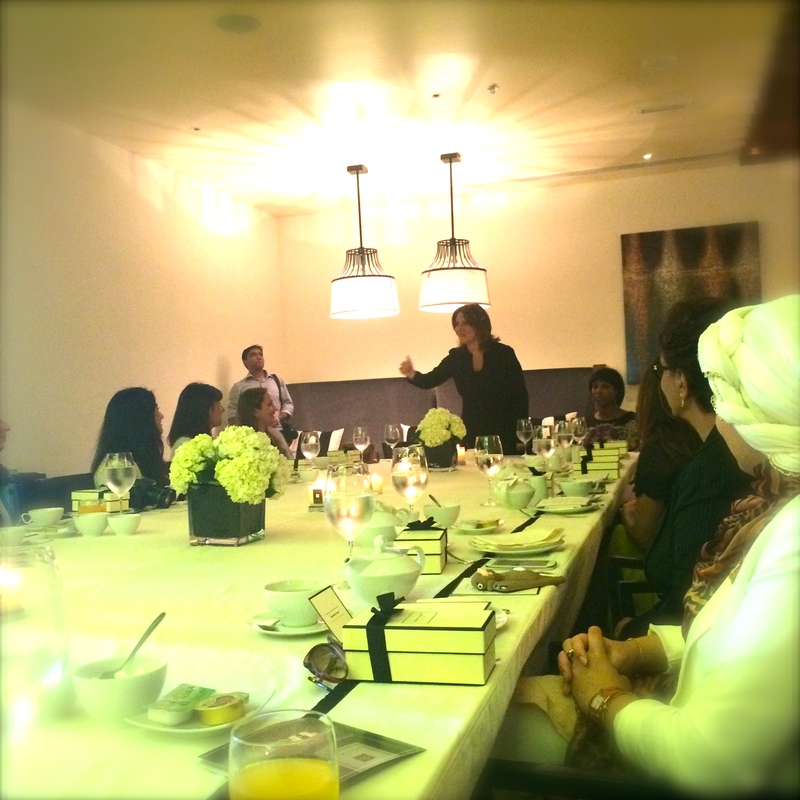 Debbie Wild, Lifestyle Director, traveled all the way from UK and introduced us all who attended the special event, to the arts of fragrance combining and gift giving in a unique way. The set up at Le Meridien’s Baharat Restaurant resembled a family dinner as per Debbie and we couldn’t agree more. The atmosphere was friendly and pleasantly fragrant :). Tea and pastries were served but we were mainly anticipating to open our gifts that were gracefully placed on our plates. Velvet Rose and Oud Cologne. Although I like smelling it on others, I’m not a fan of Oud but certainly I didn’t expect that it could be tailored to my liking simply by mixing it up with another scent! Debbie impressed everyone with her ability to memorize all the names of the guests. And believe me they were many. After her short talk Debbie invited us at the perfume bar where she helped us experiment with the fragrance combining concept taking into consideration our personal preferences. And surprise – surprise! 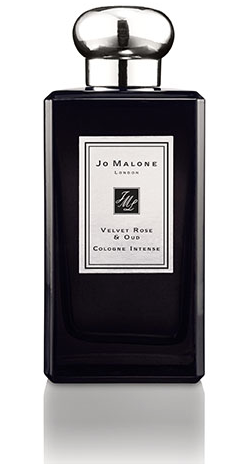 My new Velvet-Rose & Oud cologne when combined with my favorite Peony and Velvet Blush, becomes so light, sweet and delicious! After that I wanted more! and more! A crisp and fresh combination from heaven: Wild Bluebell and Red Roses. 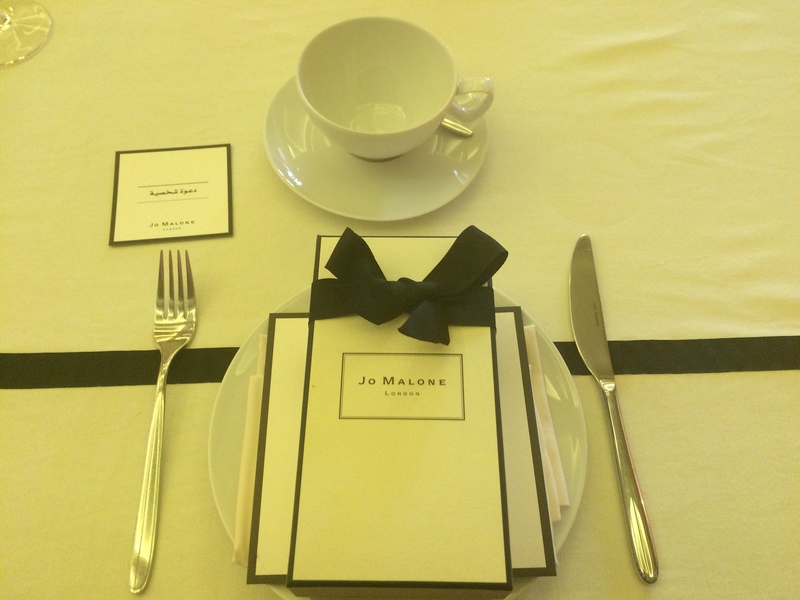 The combinations are endless and you can experiment online here, although nothing compares to the real deal so better hit Jo Malone’s boutique at City Center for a profound experience. Trust me, your senses will thank you!